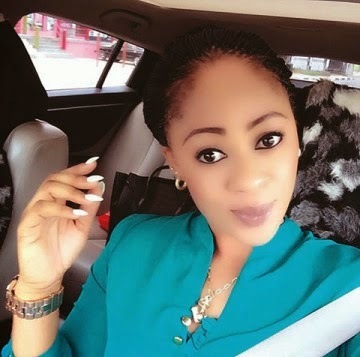 More facts have emerged about the deceased female employee of Silverbird Cinemas, Aishat Noble-Mustapha who was allegedly stabbed to death around 8pm on Saturday, March 14, 2015 at her residence in the Ogudu GRA area of Lagos state. Reports have it that she was inolved in a violent quarrel with her married lover shortly after she got home from work on the fateful day, read here. Her guardian, Mr. Abubakar Haruna, said the family was waiting for the coroner’s inquest to be done. Also, the result of the autopsy to disclose if the deceased was really pregnant as alleged is yet to be released. Haruna on Wednesday, March 18, 2015 also disclosed that the deceased was the only child of her bereaved parents who live in the Etsako-West, Auchi area of Edo State. She was said to have lost a sister just last year leaving her as the only surviving child of the parents who have now become childless. Haruna said that the family would be leaving the police to conclude their investigations and hence might not want to say much. He promised to hold a press conference to announce the family’s position on the matter. Meanwhile, the state police public relations officer, DSP Kenneth Nwosu, disclosed that the command has arrested one suspect in connection with the murder while investigation is ongoing. The suspect turns out not to be the married lover who she was said to have had a violent quarrel before her death, but a 21-year-old boy who lived in the same neighbourhood as the deceased. A source, who would rather not want his name in print said, the suspect was caught with the victim’s phone and he could not give satisfactory explanation on how he came about it. The case has been transferred to the State Criminal Investigation Department for proper investigation.